I don’t eat fortune cookies, though I do love the fortunes! I tore this one as I pulled it out, and was rather pleased with what it said. Feeling triumphant and more than a little justified… I held it up for Sir to read, with a smug smile on my face. I laughed. The kids laughed. It was pretty funny! It was also a little deflating, I must say. 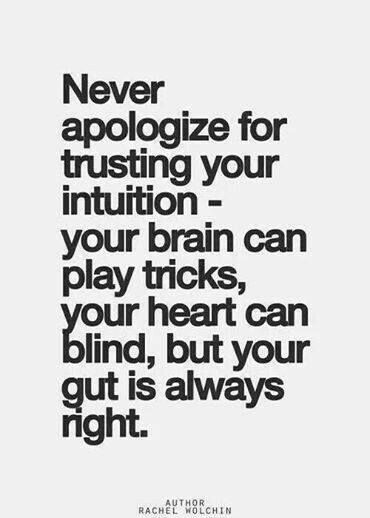 You see… I am a huge believer in gut instincts. 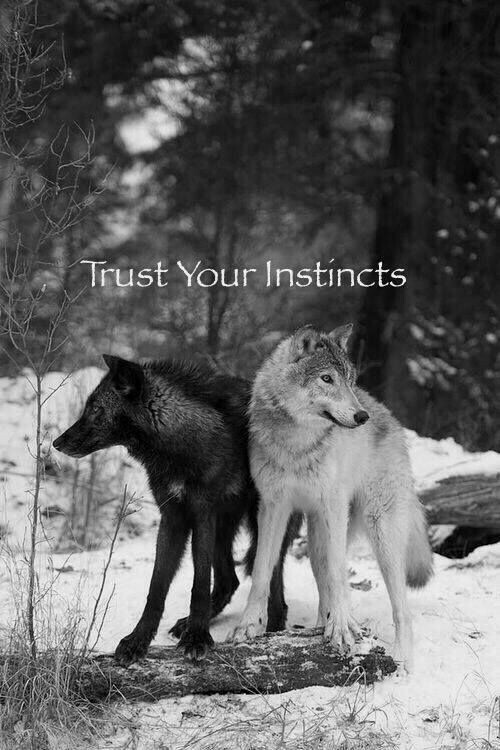 There were a few major times in my younger life when I ignored those instincts and it turned out so badly. I learned my lesson the hardest of ways!! 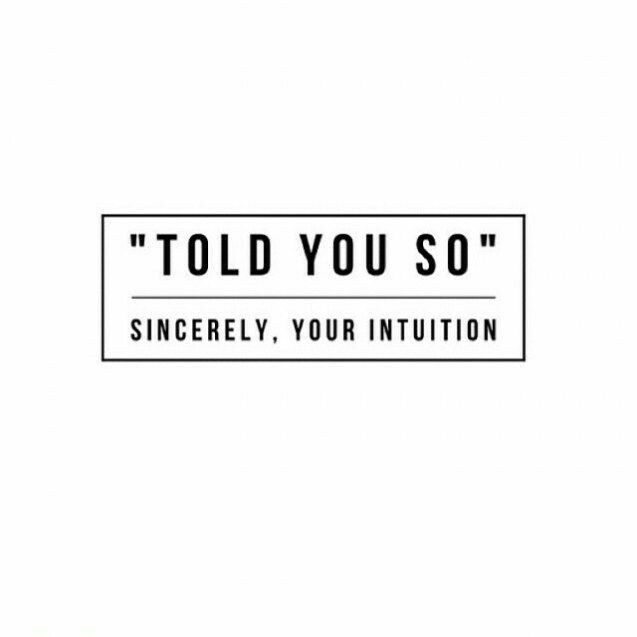 And so it goes that ever since they were little, I have hammered into the children to take heed… If a little voice or a nagging feeling says something isn’t right, please listen your intuition!! 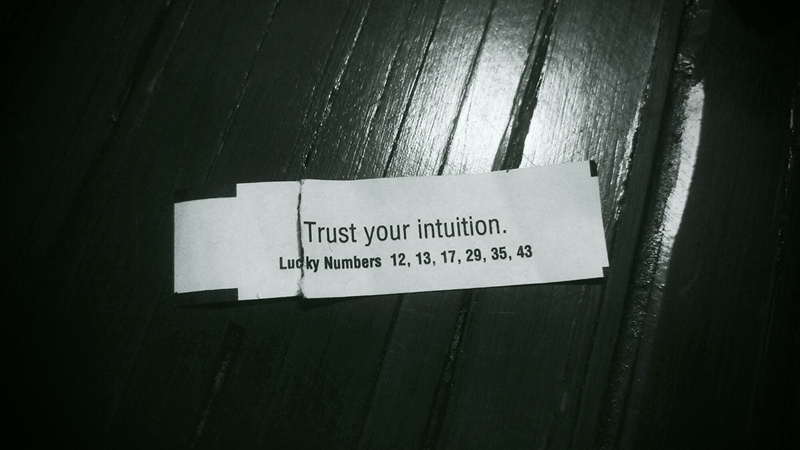 So I fully believe in, support, and applaud intuition. But… Sir is also correct. Sort of. 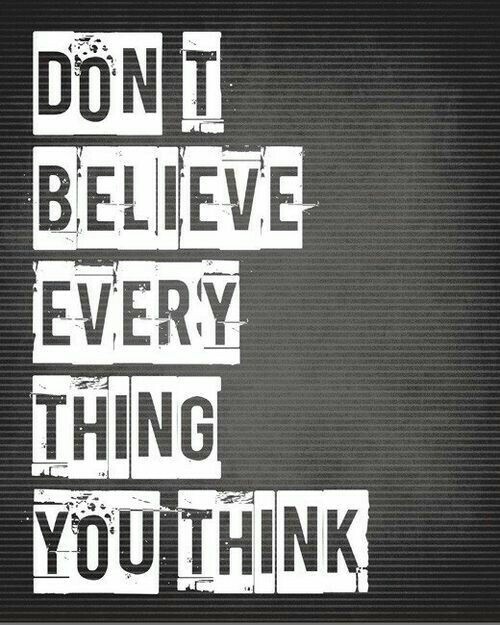 In my brain, there is non-stop thinking and worrying, dissecting and over-analyzing. I admit that on occasion (oh stop laughing! ), I am consumed with it all. The worst case scenario is usually my sleep stealer or my dream invader. I linger on words and on silence, blowing them up bigger than life. So what then? What do I do? I try to balance the intuition with the runaway brain. It’s not always easy…or even possible… but I do try. If anyone has thoughts on this, lay ’em on me! Happy Monday…at least it’s winding down.